today, Saturday, September 19, is International Talk Like a Pirate Day. i'd forgotten about it, but then i saw the CNN news report on it (see below), and was reminded about it once again. ahhhhhhhhhh. yes. one of the dreams in my life has always been race in pirate gear, dressed up like my hero, Captain Jack Sparrow. i haven't had such blessing to do so, but this day lets me ponder the possibilities. and it will come. yes, it will come. by the doors of Davy Jones' locker and the beatin' heart of a dead man's chest, i'll represent the pirate's code and make for a race day yet! ahoy! avast ye scurvy dogs!!! prepare to be boarded and thrown to the mast! so celebrate! tell all the mateys. and tell 'em i sent ya! 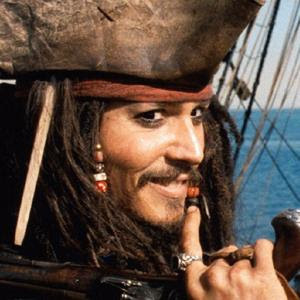 and remember: this is the day you will always remember as the day you met...Captain...Jack...Sparrow! it's just a tag you can put into all the blog entries...you can see it when you go to the section that says "edit posts".